It’s so important to take care of your hair. 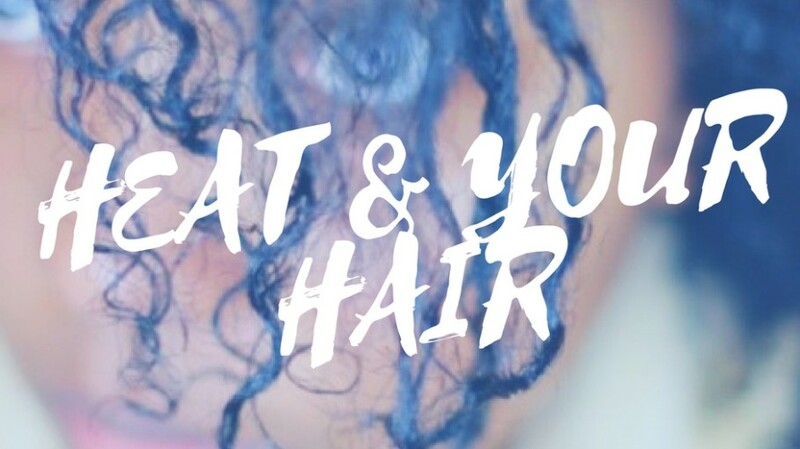 On JouJou Mane News we’ve talked about an array of ways to ensure you have healthy happy hair. Today we are going to talk about trimming. Trimming your hair is essential to keeping all your strands happy and encouraging hair growth. 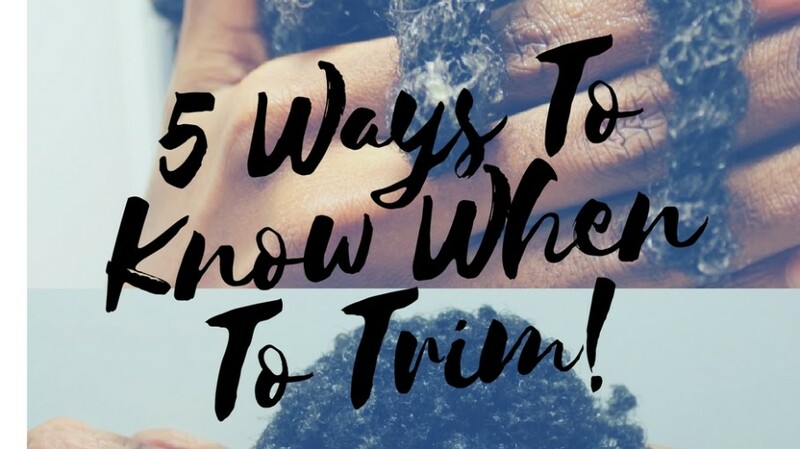 Here are 5 signs that will let you know you are in need of a trim! When your hair is frayed on the end, it means that its time for a trim. Yeah it may lead to having a shorter hairstyle than you’re usually used to but split ends cause breakage and breakage make your hair thinner and shorter – So a trim will solve all. If you’re going for an uneven look then ignore this one completely, but if it’s unintentionally and you just have a bunch of layers then you probably need a trim to bring things back to life. If your hair is always flat it probably means that your coil structure is in bad shape. You can revive your curls by grabbing the scissors and get to trimming your ends. If you have quite a few knots in your hair them it is surely a sign of weak points in your hair. Just snip them out. If your hair is stuck at a length – You need a trim. When your ends are damaged your hair will not grow. Trim. Trim. Trim. And even if none of the above is going on in your hair, you should always trim your hair every eight weeks to maintain health and rid yourself of damaged hair. What’s The Deal With Dry Hair? 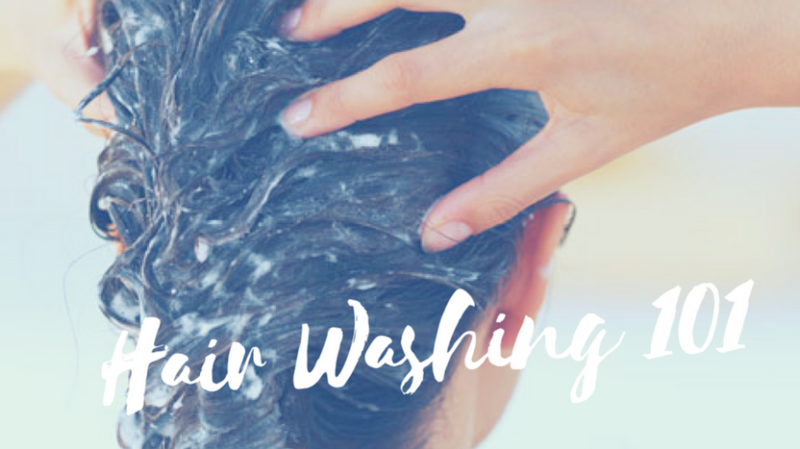 Dry hair can be really frustrating, and incredibly damaging to your hair. Unfortunately, if you have naturally curly hair you are probably a lot more prone to dryness than other hair types and textures. The natural oils produced via the structure of naturally curly hair is not able to navigate all the way down through the shaft of your hair due to the coils and twists of curls. Dry hair is a real problem because it creates the space for breakage, and breakage we all know stops hair growth dead in its tracks. There are also a myriad of hair issues that can come directly from dry hair. Common Causes Of Dry Hair? Ultimately, it’s essential to figure out WHY your hair is dry. Once you discover the reason for dry hair, you will immediately be in a better position to solve the problem. Your primary goal is to keep your hair as moisturized as possible. 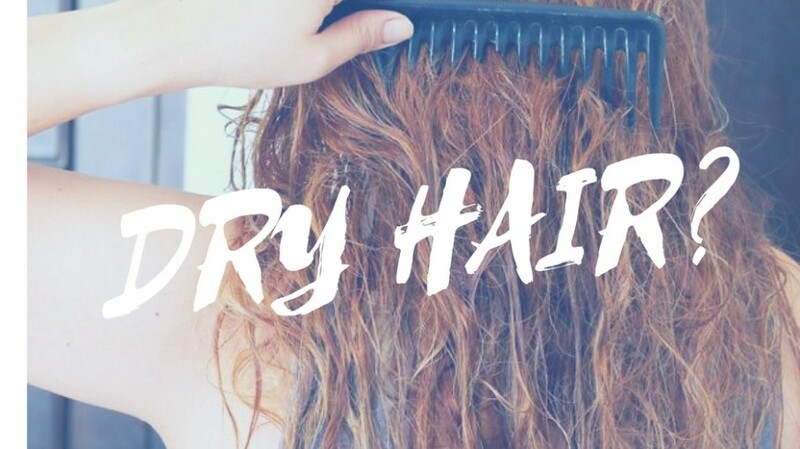 Whatever the reason for your dry hair, try and do your best to add moisture and you’ll be sure to have healthier and happier hair. Hair Growth is probably the number one thing all hair types can agree on that they strive for the most. Now, we must admit that there are numerous factors that contribute to whether or not your hair is growing, like blocked pores from product build up or a dirty scalp or simply not giving your body enough fluids. 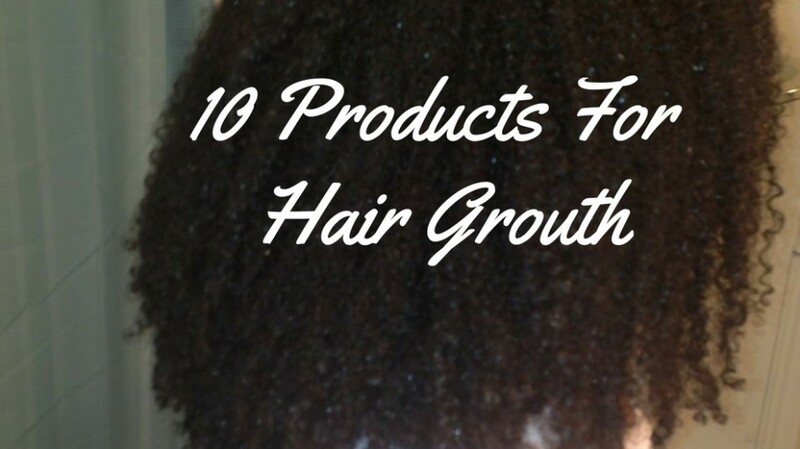 There are a few products that you can add to your daily regiment that will stimulate hair growth. Eggs are rich with all the essential vitamins and minerals (including but not limited to zinc, iron and selenium) Used on your scalp, eggs can increase oxygen, blood production and healthy cell division. Peppermint oil penetrates the scalp and stimulates hair, thereby increasing oxygen production. Be sure to dilute this strongly concentrated oil before gently massaging it onto your scalp and allowing it rest (covered) for 20-30 minutes. This herb is packed with useful nutrients. Stinging Nettle is known to combat a problematic hormone that contributes to hair loss (DHT) as well as it as powerful regenerative powers for your hair. Whether you use it in your hair overnight or create a tea rinse, this herb can combat hair loss and give your curls a boost! With powerful antibacterial properties there are a myriad of ways you can use lavender oil to stimulate hair growth. It helps to reduce excessive dandruff, keeps your scalp clean and your pores open. Apple Cider Vinegar is perfect for eliminating build up in your hair as it restores balance and stimulates growth. Product build up is something that people often don’t consider, but it can easily disrupt the pH levels of your scalp which then effect the growth of your hair. Try an Apple Cider Vinegar rinse by mixing ACV with water. Known for scalp stimulating properties making it one of the most effective oils in hair growth, rosemary oil is perfect for encouraging blood circulation in your scalp. It’s a good idea to dilute it a bit with another oil (like jojoba oil, which is the closest oil to what humans produce naturally) and massage it in your scalp. Sage oil increases blood circulation and removes excessive sebum from the scalp. Due to the high sulfur content onion juice is really effective in stimulating and increasing blood circulation. Blend Onions, Apply to your hair and leave in for 15 minutes. You’ll be sure to see great improvements. Last but certainly not least. Aloe Vera is rich with over 20 minerals and an overwhelming amount of vitamins. It’s antibacterial properties eliminate oil build up, and allow your pores to breathe. Aloe Vera also aids in the overproduction of sebum. Excessive Sebum ( a substance that secretes from your scalp) can slow hair growth, aloe vera is perfect for reducing the overproduction of sebum. Try these products out and let us know how it works for you in the comment section below!